Has your house has been sitting on the market too long? There may be a good reason why you’re not getting any offers. A recent study by GoCompare home insurance reveals these are the biggest turn-offs for home buyers. According to a GoCompare study, a whopping 69 percent of home buyers are turned off by dampness. In fact, buyers may be asking, “What lies beneath?” when they see stains or sense dampness during a home viewing. “Buyers could think dampness is a sign of a much bigger problem, like an ongoing leak in the roof or behind the walls that could have already caused issues like mold,” says Jane McAuley, a realtor with Coldwell Banker. Try these simple changes to make your home look more expensive. A whiff of something nasty can turn off a buyer before they see the entire house. “There are many remedies to get rid of some of the most common smells like smoke or pet urine. Buyers may wonder why the sellers didn’t try to remove these smells before putting the house on the market, or worse, think they may be permanent,” says McAuley. A stinky first impression was enough for 63 percent to be turned off. A worn out deck and peeling paint may not seem like a big deal, but 59 percent of home buyers may wonder just how bad of shape is the house really in. “Most buyers tend to start adding up the cost of repairs in their head as they walk from room to room. And that’s not good for sellers as buyers are already discounting before they even write an offer,” says McAuley. Check out these clever home improvements under $200. “In many areas, especially city dwellings, parking can be challenging. Many homes, even luxury ones, are sold without garages, relying on driveways or on-street parking,” says McAuley. Circling for a parking spot on a daily basis probably won’t appeal to someone who depends on their car to commute and 56 percent will keep driving. However, if the buyer is specifically looking for a location they can walk to work, shops, and restaurants, lack of parking won’t be a big deal. Believe it or not, there are still locations where broadband isn’t available, and 53 percent of buyers don’t want to mess with a lack of connectivity. “In our instantaneous world, very few buyers are willing to look past this. They would need to look into alternative sources of connecting and most buyers will likely still be concerned about the coverage being consistent and likely move along to another home. It is a huge deal killer,” says McAuley. Some DIYers are looking for fixer-uppers and may not be swayed by seeing a few unfinished projects, but for the rest of the buyers who want a move-in ready property, unfinished projects are a deal breaker. In McAuley’s experience, buyers are concerned that homeowners might have cut corners in the projects already done or they’ll have to shell out extra cash to fix the bad DIY projects. In fact, 53 percent wouldn’t nail down an offer. “A savvy buyer can get a great deal on this kind of property, but will need to be very thorough in their inspections,” says McAuley. Don’t attempt these DIY home improvements—ever. The desire for green space is about 50/50 for buyers. In fact, 52 percent would be turned off if they couldn’t tiptoe through their own tulips. “In today’s market, having a yard for kids to play or space for a pet to roam around is a top-tier issue for homeowners. Sometimes this can be overcome with other amenities close by, like a neighborhood park,” says McAuley. According to a survey conducted by NW Natural, a utility company headquartered in Portland, Oregon 90 percent of new and future home buyers surveyed in NW Natural territory prefer natural gas. Other utility companies report similar findings and GoCompare reports 51 percent prefer the flame. McAuley also sees it as a big deterrent. Home buyers prefer natural gas because it is more affordable, offers more consistent heat in the winter and offers better temperature control in cooking. “Depending on the cost to get it, buyers may just look at it as too big a cost to make it worth moving forward,” says McAuley. The house listing shines online but buyers hopes could be instantly dashed when they see the neighbor’s yard is two weeks overdue for a cutting and trash is scattered about. While 48 percent would say “no way” to this, McAuley says if you are buying a home in a community with a homeowner’s association (HOA), a letter notifying the governing HOA could resolve this issue or you could contact the city to get it fixed up, though that may lead to strained relations with your neighbors. We already know lingering odors is number two on the deal breaker list but 46 percent of buyers also turn their nose up at a dirty house. It’s not a simple matter of buyers seeing past toys scattered about or dusty shelves and dirty floors. If the owner didn’t get the house in squeaky clean condition for a dazzling first impression, McAuley says buyers will wonder if its an indication of deferred maintenance. Nothing congers up dollar signs more than electrical issues. In fact, 46 percent of buyers are shocked enough to walk away. 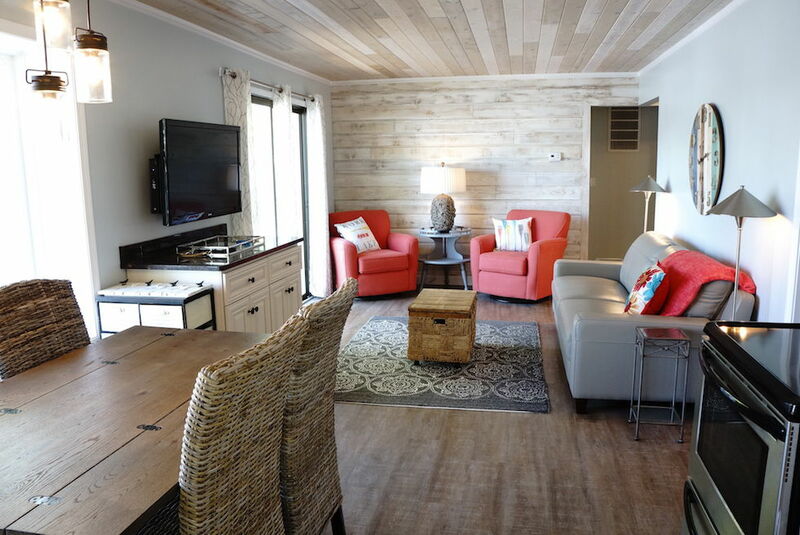 “It is a large expense for any buyer to take on, but for investors or those looking for a big remodel it’s just part of the cost of doing business,” says McAuley. For example, if a buyer is planning on a major renovation, they are going to install new electrical anyway. But for those desiring move-in ready, this could zap their interest in buying. Outdated electrical isn’t the only dangerous thing lurking in your house; watch out for these hidden dangers in your home. How many times have you heard a home buyer on TV walk into the room and exclaim, “I love the natural light!” “Lack of natural light or dark rooms are a drawback for many buyers,” notes McAuley. While adding a window or opening up a room to bring in more natural light are options that aren’t hugely expensive, 43 percent of buyers consider it a turn-off. It’s a shame to find the perfect home only to discover the property next door is run-down. Unless the neighbors plan on doing renovations or moving soon, 43 percent of buyers say it’s a no-go and move on. “An unsightly mess is probably going to bother you more as you own and invest in your own property,” cautions McAuley. “Remember, you can make a house what you want, but you can’t change the lot or location,” says McAuley. “A house located near a major road or highway is a big negative. It will bring noise and traffic and even if a buyer is OK with it, it will be difficult to resell down the road,” cautions McAuley. Not surprisingly, 43 percent drive off on this one. “Large, open spaces are the rage among home buyers in today’s market. The small, choppy rooms so popular in the 50s and 60s are a big turn off,” notes McAuley. Buyers may have a difficult time imagining the possibilities if the walls were torn down to create an open floor plan or they don’t have the budget to do it. Either way, 40 percent close the door on these houses. “If you’ve ever had people over for a dinner or party, you know that no matter how much space you have in your home, the kitchen is where everyone ends up hanging out,” says McAuley. A small kitchen or one that is closed off is a huge deterrent whether you’re a frequent dinner party host or not. According to Realtor.com, the kitchen is the favorite room of a home for 80 percent of buyers. It’s no wonder 39 percent lose their appetite and look for something more substantial. No matter the size you can make your kitchen look expensive with these tricks. DIY can get ugly quick and it can be expensive to fix. A crooked towel bar or a ceiling fan that isn’t quite centered aren’t likely to send buyers running, but bigger DIY projects like doors that don’t completely shut or gaps and buckling in flooring steer 38 percent of buyers away. “A bad DIY can usually be fixed, but no buyer wants to pay for updates they don’t like or that look cheap,” says McAuley. You have to see these DIY fails to believe them. It’s often a rite of passage for newly independent college students to host parties, with blaring music, and general chaos all hours of the night. Of course, there are exceptions and maybe the tenants will be quiet. But who knows what kind of tenants will be there the next school year? “Student housing can be a nonstop revolving door and there are usually too many unknowns for the buyer,” says McAuley. The thought of too many nights of lost sleep deters 37 percent of buyers. Nothing says “cha-ching!” quite like faulty or old HVAC systems. Heating, cooling, and ventilation are major components that are costly to repair and/or replace and 37 percent of buyers get cold feet and walk away. But if a buyer is set on the house McAuley suggests the buyer factors in the cost of replacement and deduct from the price of the home before making an offer. A quaint stone cottage is cozy and charming but not a popular exterior for 31 percent of buyers. “It’s not a mainstream or popular look and the house may stand out as inconsistent with the neighborhood,” says McAuley. “A buyer could look into replacing the exterior if the price is right which could be possible since the seller is likely dealing with a much smaller pool of buyers.” Read on to find out the biggest regrets of first-time homebuyers. Earning the designation of best recreational lake in the U.S. has made the Lake of the Ozarks even more popular among visitors and home buyers. Local businesses have enjoyed the benefits of booming tourism and it’s made for an incredibly hot real estate market. On the other hand, with home buyers from across the country eager to own a slice of paradise at Lake of the Ozarks, local real estate listings are dwindling. 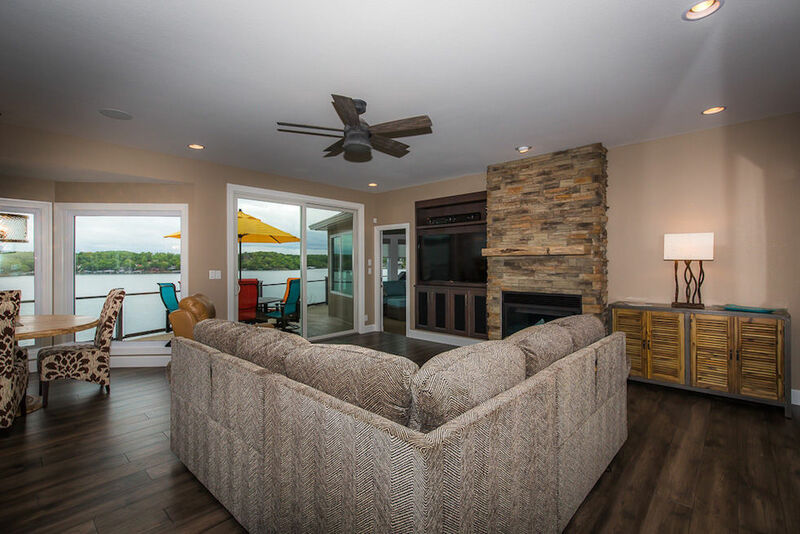 The Property Shop at the Lake owner Tina Stotler said this dynamic has made it especially difficult for mid-level buyers to find Lake homes that fit their budget. But all is not lost. 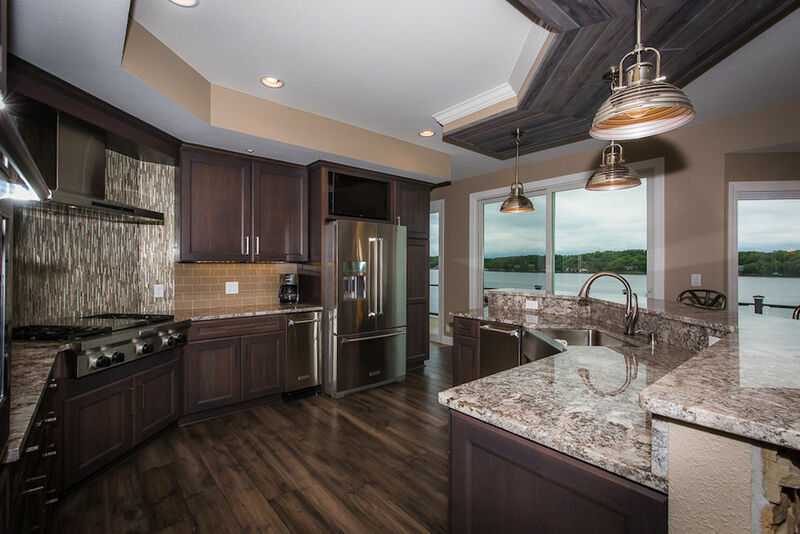 Stotler says investing in a fixer-upper is a great opportunity to purchase a lake home without breaking the bank. “Fixer-uppers are an affordable way for buyers to get into a home and customize it to their lifestyle,” Stotler said, noting that obtaining a loan for renovation projects is easier today than in the past. She regularly works with lenders who understand the dynamics of renovation projects and have lengthy experience in helping borrowers navigate the approval process. Stotler stressed that financing is only one of many factors to consider when purchasing a fixer-upper property. Owners should take into account the location of the house, the type of lot it sits on, waterfront issues, foundation problems, things that can and cannot be changed, as well as the overall potential of the home. Still, tackling a fixer-upper is not for the fainthearted: it can be a daunting task for even experienced renovators. Renovation projects can cost more in time and money than anticipated; and Stotler emphasizes working with a real estate professional who has relationships with local contractors and sub-contractors along with experience in guiding buyers through the fixer-upper process, is a must. 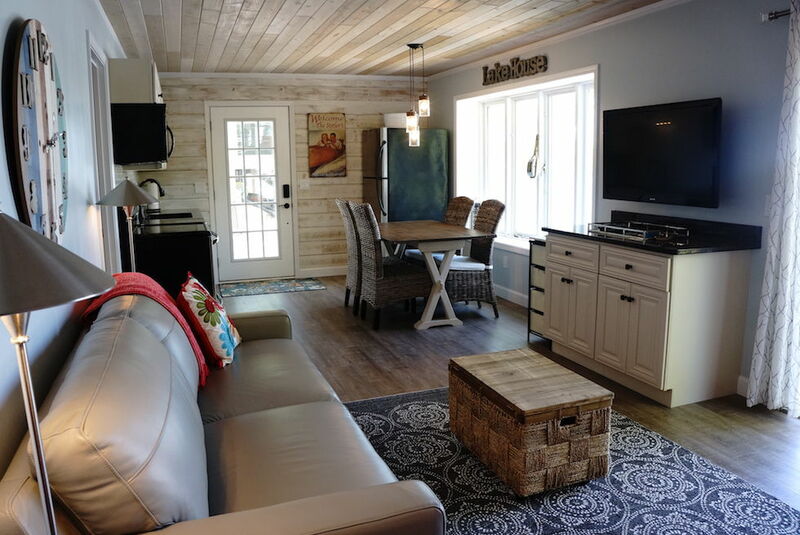 Herself nearing the end of a lengthy journey through renovating her family’s former Lake home, Stotler is well aware of the pitfalls and the rewards of bringing new life to older homes. Stotler purchased the house from her brother and began the renovation process utilizing the craftsmanship of local contractors and sub-contractors to add 1,340 square feet and a 2-car garage to her former childhood lake home. Nine months later, she readily admits that renovating a fixer-upper can be an arduous process, but she stresses that the final result makes it well worthwhile.